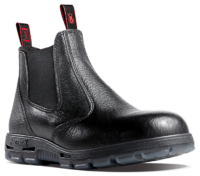 Redback Boots is an Australian company run by the Cloros family, who have a boot-making tradition spanning five generations back to the early 1900s. We're 100% Australian-owned and, equally importantly, our boots are handmade here in Australia too. This matters, not only because the Cloros family owes its good fortune to Australia, but also because we believe our workforce and their future job security is our number one priority. 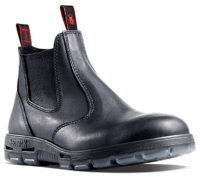 Scroll to explore 1920 Smart thinking from the beginning Redback boots are not only tough, they’re smart too. Our reputation for smart thinking goes right back to the beginning of our business, when Stanley, Bill and John Cloros - fishermen and boot makers by trade - left Greece in the early 1920s to seek their fortunes here on the other side world. 1925 Workers need boots Like so many other new Australians they worked hard and smart to build their lives on this remarkable island continent. They lived off their wits, using cast-off leather hide cuttings from barbershop straps to make shoes and boots, at first selling only a few pairs a week at the Surry Hills markets. But they had bigger ambitions, and by 1927 they had started their own full-scale business: the Victor Boot Company on Commonwealth Street in Sydney. 1930 Tough times call for tough boots The Cloros brothers' traditional skills and passion for quality saw their business grow despite the onset of the Great Depression. 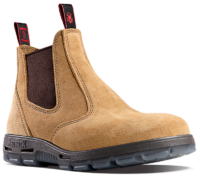 Tough times called for tough boots, and soon they were producing their own version of the classic Australian elasticised work boot (which was later known as the Chelsea boot). Thousands of these boots played a part in building the Australian icons we know and love today, including the Sydney Harbour Bridge. 1940 The boots that helped save a nation With the outbreak of the Second World War, the provision of dependable, high-quality, army and work boots became a matter of national importance. And the Cloros family's workshops were dedicated to making the boots that helped to defend Australia - the first chapter in the Cloros family's longstanding connection with the Australian Army. 1950 Like father like son The 1950s were prosperous, vibrant years for Australians. The times were a-changin' and the Cloros family's boot business was changing too, with Bill Cloros handing the reigns of the Victor Boot Company over to his sons. 1960 From the high street of Chelsea to the worksites of Sydney With Bill's sons running the show, the Cloros family's boot company launched itself headlong into the swinging sixties. Of all the fads of this era, the traditional Australian elasticised 'Chelsea' work boot was one of the most influential, becoming the in-crowd's footwear of choice, sported by numerous rock bands and well-heeled trendsetters, from the King's Road in London to Kings Cross in Sydney. 1970 Keep it Australian-made, son While the '70s saw the skylines of Australia’s major cities transform with a building boom, it was also a time of upheaval, with many Australian footwear companies offshoring their production to Asia. 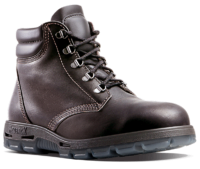 George Cloros made the call to keep the family boot business Australian-made, so that he could ensure that it maintained its reputation for durable, high-quality work boots. 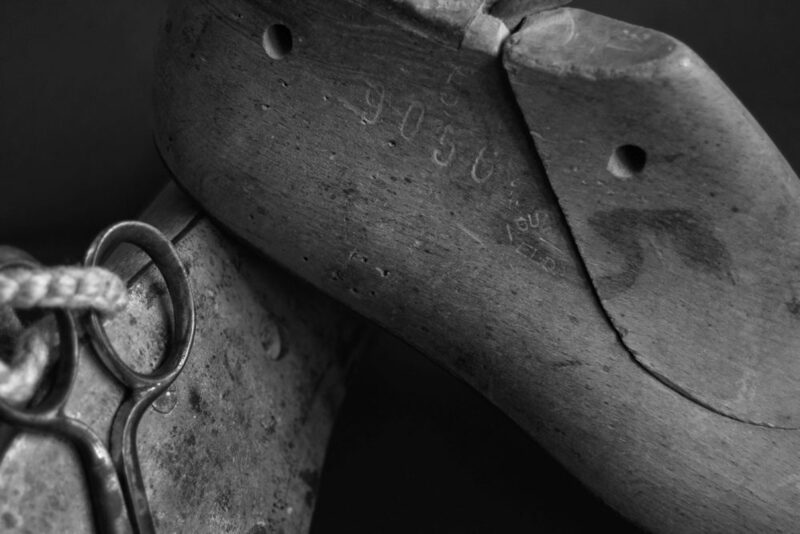 'Handcrafted in Australia' was then, as it is today, the guarantee of a boot that won't let you down. 1980 The next generation The '80s saw George hand much of the day-to-day running of the business over to his sons Mark and Matt, who expanded manufacturing to Carrington Road in Marrickville, Sydney. They acquired the North Queensland Boot Co-operative in 1987, retaining much of its skilled workforce and its tradition of providing value-for-money, high-quality to boots to Australian workers. 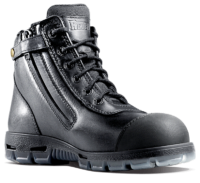 1989 Enter the Redback It was a busy decade, with the Redback company and boot brand being launched in 1989. But there was also time to enjoy a pat on the back from one of Redback's better known customers: Australian artist Reg Mombassa, best known for his Mambo designs, was quoted as saying, 'I can't work without my Redback boots.'' 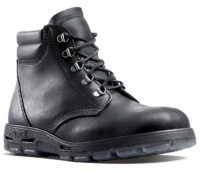 1996 The next generation The '90s saw the re-branded Redback Boot Company stride ahead, increasing its production capacity to 650,000 pairs of boots a year through a move in 1996 to a much larger factory and workshop on Botany Road in Waterloo, Sydney. This move underlined the family’s commitment to remaining Australian-made - a strategy that clearly paid off, with Redback now making specialist boots for Australia's fire brigades, police forces, emergency services and steel-makers. 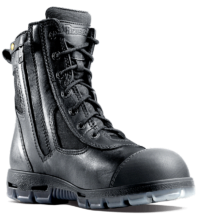 Crucially, Redback won a contract to become the main boot supplier to the Australian Defence Force in 1998 – the culmination of a strong relationship that began back in the 1940s, and which continues to this day. 2000 Globally applauded Nearly a hundred years after the Cloros brothers took a punt and jumped on a steamer to Sydney, the tradition they started has turned into one of Australia's most renowned manufacturers. In an era when fewer and fewer products can claim to be 'Made In Australia', Redback Boots has expanded its range of high- performance Australian-crafted specialist footwear, exporting it to over 20 countries around the globe. 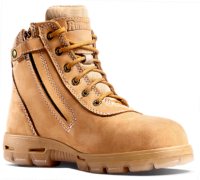 Redbacks and their reputation for rugged 'Aussie' quality are prized by miners in Pennsylvania and rock'n'rollers in LA: they are essential footware for Berlin trendsetters and must-have kit for hard-slogging oil riggers in the Timor Sea. 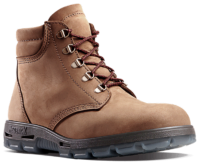 They showcase all that's best about Australia and are unique in being the only foreign-made boots used by the US military. 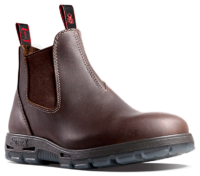 Now Let’s go for it Having moved to a remarkable new architecturally-innovative factory and workshop in Alexandria, Sydney, Redback can now produce nearly 1.5 million pairs of boots each year. 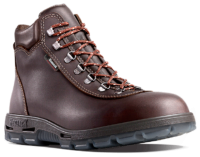 The range now covers General Purpose Industrial, Hike and Casual Footwear. 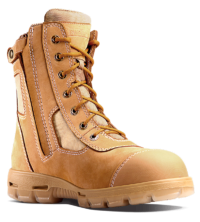 But every single pair is still hand crafted and finished around a traditional high-strength innersole by our skilled work force here in Sydney. As George Cloros says “Our Australian workforce is our first duty of care: we are responsible for the futures of hundreds of families and we never forget that.” That's why he's still proud to export Redback's Australian craftsmanship worldwide.